Audio Sample: Music Research Institute MRI-0001CD (1998); Chaka: An opera in two chants; City of Birmingham Touring Opera; Simon Halsey, Conductor Part VI - "Why do you not dance"
Akin Euba's father, Alphaeus Sobiyi Euba, was in his youth an active musician (although music was not his profession). He was a chorister at the Olowogbowo Methodist Church (now Wesley Cathedral) Lagos and also played the clarinet in the Triumph Orchestra, a Lagos dance band in which Fela Sowande (who later became internationally famous as a composer)was the pianist. Akin Euba's mother, Winifred Remilekun Euba, née Dawodu, was a teacher by profession. usually employed in marriage, child-naming, and funeral ceremonies. Apala, which is performed only by men, also has some links with Islam. Like waka it is very much influenced by dundun drumming. After 1950 Major Allen sent Akin Euba to a Monsieur Tessier Rémi du Cros, the then French Consul in Lagos, who taught him for a while, following which he returned to Major Allen before travelling to the United Kingdom in September 1952. He had left the C.M.S. Grammar School nine months earlier. These subjects included piano, composition, harmony and counterpoint, orchestration, organ and score-reading. One teacher who influenced him a great deal at the College was Eric Taylor, with whom he studied harmony and counterpoint for some time. Taylor saw much potential in Akin Euba's arrangements of Nigerian folk songs and encouraged him to do them. The first of such arrangements were, therefore, done when Akin Euba was a student. Another person who gave him much encouragement at the College was his composition teacher Dr Arnold Cooke, a pupil of Paul Hindemith. The report which Cooke gave Euba at the end of the first term as his teacher bore the grade 'excellent' with the comments that Akin Euba was a gifted student. This, in Euba's opinion, reinforced in no small way his desire to become a composer. They are Associate of the Trinity College London (Piano Performance) 1954; Licentiate of the Trinity College London (Teacher's Training Diploma) 1955; and Licentiate of the Trinity College London (Piano Performance) 1956. Two works which were written as a result of his experiences at this time are Six Yoruba Songs for voice and piano, and Two Yoruba Folk Songs for unaccompanied choir. They were both completed in 1959. In the same year that he was promoted as Head of Music (1960), Akin Euba wrote another work entitled The Wanderer for violoncello and piano. "Hitherto," he confirms, "It was in arrangements of folk songs that I made use of African material. My original compositions were composed in European terms. The Wanderer was the first composition in which I attempted to explore elements of African music." His position in broadcasting contributed to performances and recordings of some of Euba's early compositions. 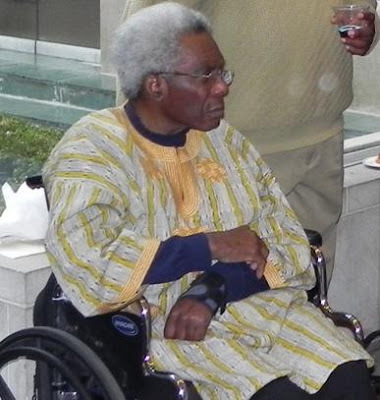 While still in the employ of the Nigerian Broadcasting Corporation, he received a Rockefeller Foundation fellowship in 1962 to study ethnomusicology at the University of California, Los Angeles. His arrival at UCLA towards the end of that year marked, according to Akin Euba, a turning point in his career. He was to be introduced to different musical cultures from many parts of the world, and, as time went on, he was to acquire a deep theoretical knowledge of African music. After an incubation period of one year or so, during which he absorbed the 'theoretical means' mentioned above, Akin Euba began to seek to develop what he considered an African idiom. The earliest works in this new attempt include Igi Nla So for piano and four Yoruba drums, and Three Yoruba Songs for baritone, piano and Iyaalu (Yoruba 'talking drum' of the dundun tension drum family). Other works written in 1963 include Five Pieces for English horn and piano, and Dance to the Rising Sun. The latter is an orchestral piece which was commissioned by Robert Boudreau, who conducted the American Wind Symphony Orchestra at the work's premiere that same year. According to Akin Euba, in spite of these early efforts at composing in an African idiom, he could "not find the key to this idiom". But he felt all along that the key was being gradually revealed by his continued study of the theoretical basis of African traditional music and exposure to the traditional music of other peoples, and, especially, by his interaction with other composers at UCLA who were also involved with the study of non-Western music. "I believe that my producing many works for the piano in 1964 resulted from (1) my need to have things which I could play by myself and (2) my wish to explore the 'African'/percussive aspects of the piano. I was at that time just beginning to develop the idea of 'African pianism', a style of piano playing which is as distinct as a jazz pianism or a Chopinesque pianism." The piano works that he wrote in 1964 include Four Pictures from Oyo Calabashes, Impressions from an Akwete Cloth, and Saturday Night at Caban Bamboo. The other works of this same year in which piano is combined with other instruments are Tortoise and the Speaking Cloth for narrator and piano, and Four Pieces for flute, bassoon, piano and percussion. According to Akin Euba, it was written for a dance-drama (choreographed by Segun Olusola), involving a solo dancer, which was video-taped by the Nigerian Television Authority (formerly NBC-TV) and presented at the Salzburg Congress of the International Music Centre on "Dance, Ballet and Pantomime in Film and TV" in 1965. The music and dramatization of Abiku I were based, he says, on J.P. Clark's poem on the theme of abiku (a child "born to die"), although the text itself was not used. J.P.Clark is a Nigerian poet and playwright and a contemporary of Akin Euba. He now set out to compose another series of pieces for an African orchestra as part of his thesis for a Master's degree in 1966. 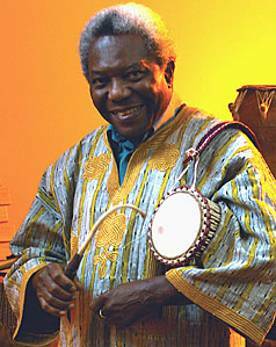 On completion of his Master's degree at UCLA in 1966, Akin Euba joined the University of Lagos as a lecturer in music, and within that same year he attended two music conferences in Bloomington, Indiana, and Legon, Ghana. While at the University of Lagos, Euba was attached to the School of African and Asian Studies, where his teaching duties were minimal. He was therefore able to concentrate on research and creative work. From 1967 onwards, Akin Euba began to acquire, through his research, a deeper knowledge of the music of his culture, which he in turn employed as an aid to his creative experiments. A piece of work which marks the beginning of this phase is Olurounbi, a tone poem for symphony orchestra. In 1966 he had written what appears to be a prelude to this work. The earlier work was titled Legend, and scored for violin, horn, piano, and percussion. The symphonic tone poem of 1967 is based on a Yoruba legend (see explanation in Chapter 4), and was performed in that year by the Portland Maine Symphony Orchestra conducted by Arthur Lipkin. They include such titles as "Creative Potential and Propagation of African Traditional Music" (Euba 1972), "Traditional Elements as the Basis of New African Art Music" (Euba 1970c), "Music Adapts to a Changed World" (Euba 1970a), "The Potential of African Traditional Music as a Contemplative Art" (Euba 1974), and the "Criteria for the Evaluation of New African Art Music" (Euba 1975a). 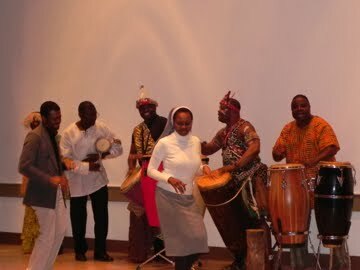 Euba is the author of four books, including Yoruba Drumming: The Dundun Tradition, and co-editor of three books in the series titled Intercultural Music. Akin Euba, who comes from Nigeria, divides his time between composition and scholarly work and considers himself to be a disciple of Bela Bartok. Since 1970, he has pioneered several theories of composition, the best known of which is that of African pianism. This concept has been adopted by some of the most important contemporary African composers, such as J.H. Kwabena Nketia, Joshua Uzoigwe and Gyimah Labi. The concept is articulated in several of Euba’s works for the piano, including Scenes from Traditional Life (1970) which has been performed extensively in various parts of the world. Another of Euba’s theories, creative ethnomusicology, was the subject of an inaugural lecture which he delivered in the University of Pittsburgh in March 2000, in his position as the Andrew W. Mellon Professor of Music at the University. As defined by Euba, creative ethnomusicology is a process whereby information obtained from music research is used in composition rather than as the basis of scholarly writing. This recording is a revised version of the opera that was premiered in a semi-staged format by the City of Birmingham Touring Opera in September 1995, during Africa 95, a three-month long celebration of African arts that took place in various parts of the United Kingdom. Briefly stated, Chaka is a fusion of 20th century techniques of composition with stylistic elements derived from African traditional music, particularly the music of the Yoruba of southwestern Nigeria. Moreover, the orchestra is a combination of African and Western instruments. The epic poem by Senghor is based on the real life story of Chaka, a 19th century king of the Zulu who achieved fame as a brilliant military strategist and empire builder but was also notorious for crimes against humanity. The poem is in two parts, subtitled Chant 1 and Chant 2 and in designating Chaka as an opera in two chants (rather than two acts) I follow Senghor's example. The vocal parts of the opera are in any case written in a style that is akin to that of the chant mode of Yoruba music (in its free rhythm, but not speech-song, aspects). In the prelude to Chant 2, I include "Man and the Beast," also a poem by Senghor (but not part of the Chaka poem). Senghor's poem covers the last moments of Chaka's life. In Chant 1, the hitherto invincible Chaka has been assassinated by some of his own people and lies dying from his wounds. He is cross-examined by a White Voice (who is a dual symbol of the missionary and colonial presence in Africa). The White Voice denounces Chaka as a blood-thirsty tyrant who murdered Noliwe, his wife-to-be, in order to gain absolute power, and also caused the slaughter of millions, including pregnant women and children. Chaka's defence is that every act of his was performed for the love of his black-skinned people. Chant 2 is a love song in which Chaka remembers tender moments with his beloved Noliwe, while a chorus chants in praise of Chaka. Senegal and doyen of modern African writers, originally published "Chaka" and "Man and the Beast" in French. The English translations used in the opera are not included in these notes and may be found in the OUP publication cited above. The Yoruba texts of the opera were written or derived from various traditional sources by Akin Euba. They are included here with parallel translations in English. Like Sowande, Akin Euba's ideas on the need for African composers to maintain a strong link with traditional African traditional music have been reflected both in his compositions and research work. Clear parallels often, therefore, occur between his writing and his composition. The writing shows Euba's strong commitment, far beyond that of any of his colleagues, to a search for a contemporary African society. 1992-94 External Examiner, University of Ghana, Legon. 1993 (October) - 1996 (September)Honorary Visiting Professor, Department of Music, City University, London. 1994 Appointed by the Center for Black Music Research, Chicago, as a member of the Advisory Board for a Dictionary of Black Composers being published by the St. James's Press. 1996-97 External Examiner, University of Ghana, Legon. Euba spent the 2000-2001 academic year as an overseas fellow of Churchill College, University of Cambridge. 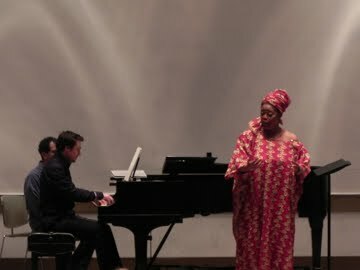 While at Cambridge he worked on a major new composition, Orunmila’s Voices: Songs from the Beginning of Time, a music drama for soloists, chanters, chorus, dancers and symphony orchestra, which received its world premiere in New Orleans on 23 February 2002, during the second annual international festival of African and African American music (FESAAM 2002). During the spring semester of 2003, Dr Euba spent ten days in Toronto as a composer-in-residence with the Ensemble Noir, during which several of his works were performed, including three movements from Orunmila’s Voices, in new arrangements for various chamber ensembles. The page adds that Dr. Euba's biography has been published in the New Grove Dictionary of Music and Musicians, 2d ed., 2001; and in the International Dictionary of Black Composers, 1999. In recent years Euba has moved away from general issues on world interculturalism (with which he has been involved since 1988) to focus on links between Africa and the Diaspora. This new orientation is reflected in most of his recent and current projects, for example the international symposia and festivals on African pianism (Pittsburgh 1999) and on composition in Africa and the Diaspora (Cambridge 2001) which were organized by him. Since joining the University of Pittsburgh in 1993, Euba has initiated a new project, entitled A Bridge Across: Intercultural Composition, Performance, Musicology, which is an extension of Euba’s London activities and is designed to spotlight the works of composers, performers and musicologists through recitals, workshops, lectures, residencies and so forth. Dialogue in Music Project: Africa Meets North America was a festival and symposium at UCLA, Oct. 22-25, 2009. Classical artists who participated included pianist Girma Yifrashewa of Ethiopia, Liberian-born soprano Dawn Padmore, Jamaica-born pianist Maxine Franklin, British-born pianist Richard Thompson, and flute player Laura Falzon, born in Canada to Maltese parents. Towards an African pianism; collected works for the keyboard, 1964-1997. Projected. A Yoruba folksong, for flute, harp, viola & percussion. Àbíkú, no. 1, for African instrumental ensemble (1965)..
Àbíkú, no. 2, for textless chorus & African instrumental ensemble (1968). Alatangana, ballet. for singers, dancers & Nigerian instruments (1975). Below Rusumo Falls, for voice, dancer, kayagum, flute, drums & piano. Text: Olusola Oyeleye. Commssion (poetry): Barbican Education. Première: 2003/VIII/3, University of Cambridge, Churchill College, Wolfson Hall Auditorium; Dawn Padmore, soprano; Hee-sun Kim, kayagum; Laura Falzon, flute; Darryl Hollister, piano; Radiu Ayandokun, drums; Omotolani Sarumi, dancer; Bongani Ndodana, conductor. CD: Dawn Padmore, soprano; Laura Falzon, flute; Hee-sum Kim, kyagum; Anicet Mundundu, drums; Darryl Hollister, piano (2003/VIII/03; Churchill College, University of Cambridge). Black Bethlehem, for soloists, chorus, Nigerian drums & jazz ensemble (1979). Chaka, opera in two chants, for 2 sopranos, tenor, 2 basses, chorus and orchestra with African instruments (1970, rev. 1999). Text: Léopold Sédar Senghor, after the novel, Shaka the Zulu, by Thomas Mofolo (1925)?== Première: 1995/IX; Birmingham UK; Symphony Hall. Dedication: Morenike, the composers daughter. Duration: 61:16. 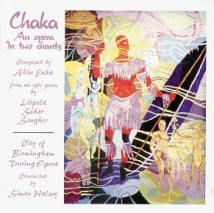 CD: Daniel Washington (Chaka); Richard Halton (White voice); Mauren Brathwaite (Noliwe); Jæláadé Pratt (Praise chanter); Sarah Jane Wright (Leader of the chorus); Olúêọlá Oyèléyę (Isanussi); City of Birmingham Touring Opera; Simon Halsey, conductor. Music Research Institute MRI-0001 CD (1999). Liner notes unsigned. ----- Themes from Chaka, no. 1 (1996 == or 1966?). Duration: 5:50. CD: Eric Moe, piano (2001/VIII/06). CD: Darryl Hollister, piano (2001/III). Interntional Consortium for the Music of Africa and its Diaspora. FESAAM 2001. ----- Themes from Chaka, no. 2, for piano. Première: 2003/VII/02; Churchill College, University of Cambridge; Darryl Hollister, piano. CD: Darryl Hollister, piano (2003/VIII/02; Churchill College; University of Cambridge). Dirges, for speakers, dancers, soloists & African instruments (1972). Première: 1972; Munich; Olympics. Festac 77 anthem, for chorus & jazz ensemble (1977). Première: 1977; Lagos; Second World Festival of Black and African Arts. Text: Margaret Walker. Ice cubes, for string orchestra. (1970). Impressions from Akwete cloth, for piano (1964). Introduction and allegro, for orchestra (1956). Legend of Olurounbi, for orchestra. Première: by 1967; United States. Morning, noon, and night, for singers, dancers & Nigerian instruments (1967). Music for horn, violin, percussion & piano. Olurombi,  for orchestra (1967). Première: 1967; Portland Symphony Orchestra [ME] Arthur Bennet Lipkin, conductor. Orumillas voices; songs from the beginning of time (2002). 4 Pictures from oyo calabashes, for piano (1964). 4 Pieces, for flute, bassoon, Nigerian instruments & piano (1964). 4 Pieces for African orchestra (1966). Saturday night at Caban Bamboo (1964). Scenes from traditional life, for piano (1970). Ile-Ife: University of Ife Press, 1970. Contains 3 movements. Dedication: J. G. C. Allen. CD: David Keberle, clarinet; Eric Moe, piano (2001/VIII). Study in African jazz, no. 3, for piano. Commission: Eric Moe. ----- for piano trio (1960). 2 Tortoise folk tales, for narrator & Nigerian instruments (1975). Wakar duru; 3 Studies in African pianism (1987). 1. Study 1; 2. Study 2. Première: 1993/I/29, Nigeria; University of Ilorin, Performing Arts Courtyard; Godwin Sadoh, piano. CD: Darryl Hollister, piano (2001/VIII/06, Universty of Cambridge). DSL 003. 2 Yoruba folk songs, for chorus (1959). 6 Yoruba folksongs, for voice & piano (1975 == or 1959?). 1. Mo lè jiyán yo; 2. Òré méta; 3. Mo já wé gbé gbé; 4. Omo jòwó; 5. Agbe; Ó se gbé na? CD: Joyce Adewumi, soprano; Darryl Hollister, piano (2001/VIII/06). 6 Yoruba songs, for voice & piano (1959). 1971 prize winners; Dance, music, drama in African arts, v5n3 (1972/winter) p8-11. Alatangana in African arts, v5n2 (1972/winter) p46-47. Dr. Éubàs tours in Music rap, v2n6 (1985/III) p15-16. Adégbìé, Adémçlá. The present state of development of African art music in Nigeria in African art music in Nigeria, ed, by Mosúnmợlá A Omíbíyì-Obidike. Ibadan: Stirling Horden, 2001, p77-92. Baldacchino, John. An analytical review of Akin Éubàs Modern African music and Joshua Uzoigwes Akin Éubà; An introduction to the life and music of a Nigerian composer in Commonwealth music (1966) p2-5. Black perspective in music, v4n1, p105; v5n1, p105; v6n1, p99. Clague, Mark. Éubà, Akin in International dictionary of Black composers, ed. by Samuel A. Floyd, Jr. Chicago: Fitzroy Dearborn, 1999, v1, p424-432. Éubà, Akin. An introduction to music in Nigeria on Nigerian music review, n1 (1977) p1-38. Éubà, Akin. Concepts of neo-African music as manifested in the Yoruba folk opera in The African diaspora; A musical perspective, ed. by Ingrid Mondon. New York: Routledge, 2003, p207-241. Éubà, Akin. New idioms of music-drama among theYoruba; An introductory study in 1970 yearbook of the International Folk Music Council, ed. by Alexander L. Ringer. Urbana-Champaign: University of Illinois Press, 1971. Éubà, Akin. Nigerian music in Nigerian magazine (1960). Éubà, Akin. Text setting in African composition in The landscape of African music, ed. by Abiola Irele. Special issue of Research in African literatures, v32n2 (2001), p119-132. Éubà, Akin. The interrelationship of music and poetry in Yoruba tradition in Yoruba oral tradition, ed. by Wandé Abímbæçlá. Ilé-Ifè: University of If`, Department of African Languages and Literature, 1975. Éubà, Akin. Themes from Chaka; A pianistic realization of African polyrhythm in Towards an African pianism, v1, ed. by Akin Éubà and Cynthia Tse Kimberlin. Point Richmond: MRI Press, 2002. Éubà, Akin. Traditional elements as the basis of new African music in African urban notes, n5/4. Éubà, Akin. Yoruba music in the church; The development of a neo-African art among the Yoruba of Nigeria in African musicology; Current trends, vol. 2; A Festschrift presented to J. H. Kwabena Nketia, ed. by Jacqueline C. DjeDje. Atlanta: Crossroads Press, 1992. Eubà, Akin. Bridging ethnomusicology and composition; A study of J. H. Kwabena Nketia. In progress. Éubà, Akin. Essays on music in Africa 2; Intercultural perspectives. Bayreuth: Bayreuth African Studies Series, 1989. Éubà, Akin. Modern African music; A catalogue of selected archical materials at Iwalewa-Haus, University of Bayreuth. Bayreuth: Iwalewa-Haus, 1993. Éubà, Akin. Yoruba drumming; The dundun tradition. Bayreuth: Bayreuth African Studies Series, 1990. Holohan, Meghan. Musical safari in Pitt magazine [University of Pittburgh] (2004/winter) p30-33. Lerma, Dominique-René de. Black concert and recital music; A provisional list. Bloomington IN: Afro-American Music Opportunities Association, 1975. Morton, Brian, ed. Contemporary composers, ed. by Brian Morton and Pamela Collins. New York: St. James Press, 1992. Nwosu-Lohámijókò, Joy. Art singsing in Niegria; The composers and the perforners in African art music in Nigeria, ed, by Mosúnmợlá A Omíbíyì-Obidike. Ibadan: Stirling Horden, 2001, p70-76. Ọmọjọlà, Olabode. African pianism as an intercultural compositional framework; A study of the piano works of Akin Éubà in The landscape of African music, ed. by Abiola Irele. Special issue of Research in African literatures, v32n2 (2001), p153-174. Ojehomon, Agnes. Catalogue of recorded sound. Ibadan: University of Ibadan, Institute of African Studies, 1969 (Institute of African Studies, Occasional publications, 30). 39p. Roach, Hildred. Black American music, past and present. Miami: Krieger, 1985. Southern, Eileen. Éubà, Akin in Biographical dictionary of Afro-American and African musicians. Westport: Greenwood Press, 1982, p128. (The Greenwood encyclopedia of Black music). Spradling, Mary Mace. In black and white; Afro-Americans in print. 3rd ed. supplement. Detroit: Gale Research, 1985. Detroit: Gale Research, 1980. Stow, Betsy, ed. 2nd International Symposium and Festival on Composition in Africa and the Diapora, including Dialogue Africa meets Asia. Cambridge UK: Churchill College, 2003. 107p. Uzoigwe, Joshua. A cultural analysis of Akin Éubàs musical works in Odu; Journal of West African studies, v24 (1983) p44-60. Uzoigwe, Joshua. Akin Éubà; An introduction to the life and music of a Nigerian composer. Graduate paper (M.A.) Queens University, Belfast, 1978. Uzoigwe, Joshua. 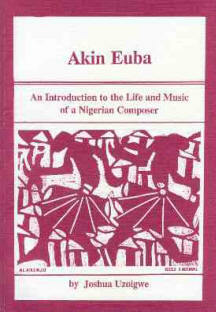 Akin Éubà; An introduction to the life and music of a Nigerian composer. Bayreuth: Bayreuth African Studies Series, 1992. Nyaho http://www.nyaho.com 2p. Consulted 2003/VI/02. Profile Akin Euba http://www.africanchorus.org/Voam/Voam644.htm (2004). 4p. Consulted 2004/IV/2. Okoli, Tunde. Colours of African music across cultures wysiwyg://74/http://www.thisfayonlhive/20021014art01.html 3p. Consulted 2003/VI/02.